Alright Fangirls, this is a crazy delicious snack thats also very good for you. 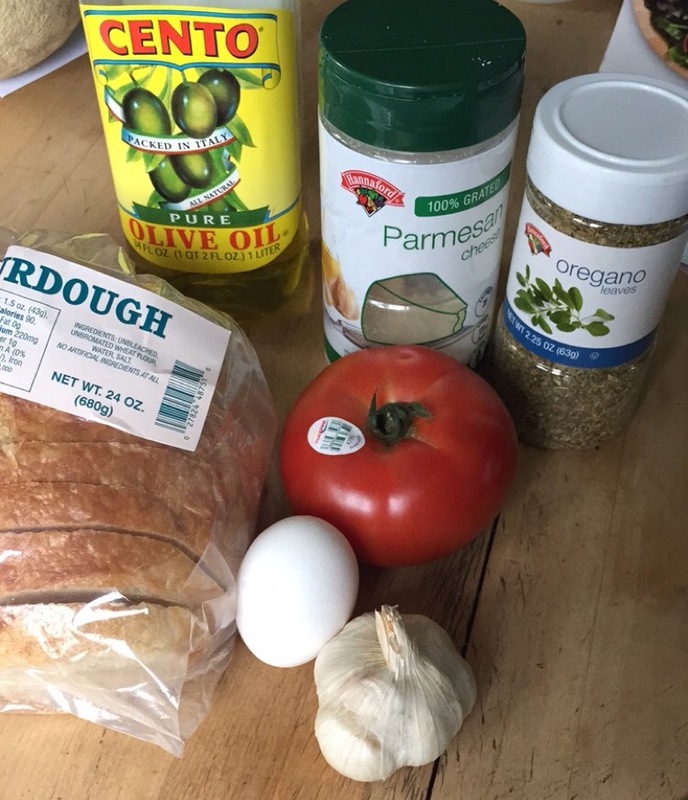 I found that it was a lot like a disassembled pizza; there is cheese, bread, and tomato, along with some oregano and an egg (which used to be put on pizzas)! But it’s delicious and healthy, and I can’t wait to eat it again. Once you’ve got all of your ingredients, preheat your oven to 425* F. While that’s heating up, cut the top off of your tomato and scoop it’s guts out. I found this to be a bit wasteful, so I saved my innards to put into a salad at a later date. 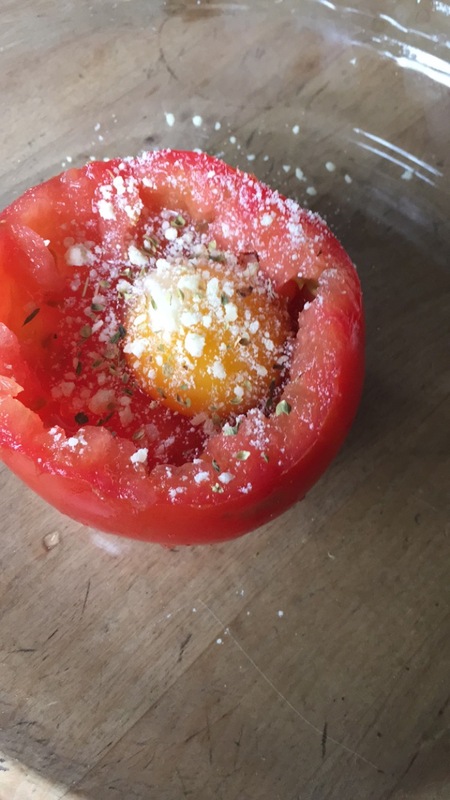 After it’s all scooped, crack an egg into your scooped tomato, along with your parmesan and oregano. Then, put it on an oven-safe baking pan, and bake it for about 22 minutes. While that’s baking, spread the olive oil and garlic on the sourdough bread, and toast it. 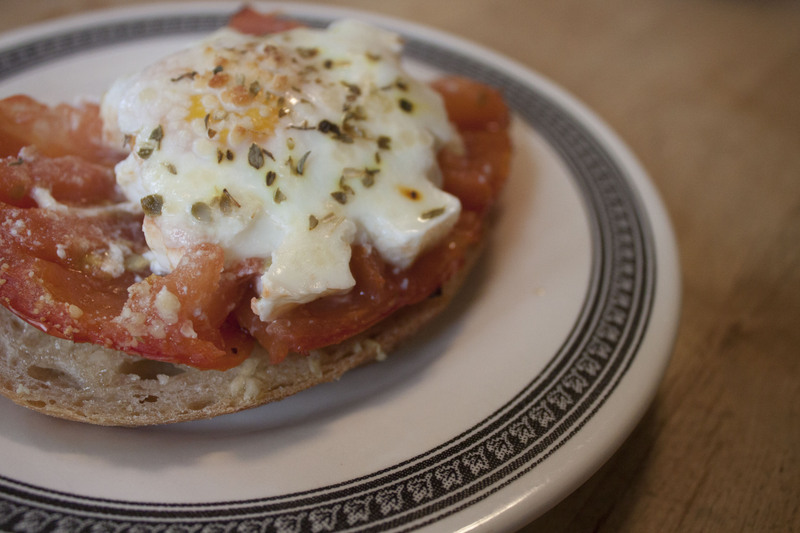 Once everything is done, plop your baked tomato onto your toast, and you will be amazed. Baking your egg will make it lighter and more fluffy than fry it, plus it’s better for you! 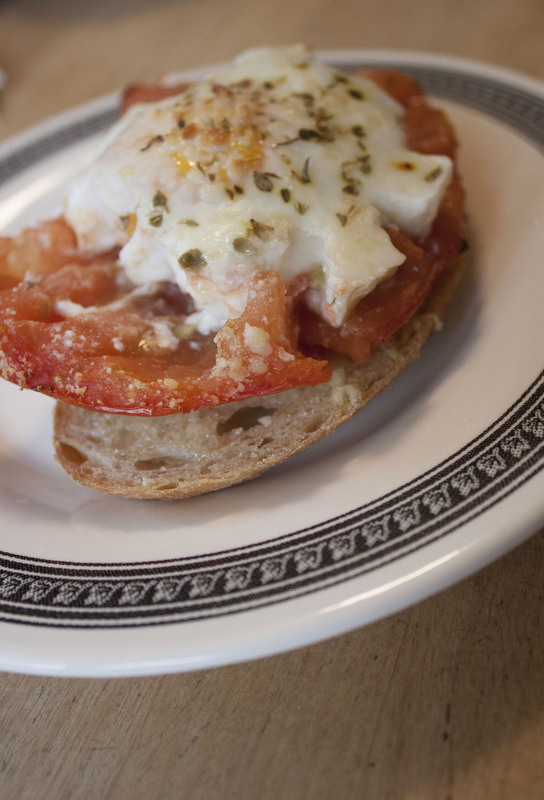 I found that my tomato did not want to stand up once it was out of the oven, but it (along with the egg yolk) soaked into my garlic bread and wow that was phenomenal. I think this is one of the best things I’ve made in a long time because not only is it healthy and easy, but it’s also versatile. I think this makes a great meal at any time of the day. It’s got components that aren’t weird for any meal, which is awesome and surprising. I loved having this for dinner, but it’s also a fantastic breakfast. I recommend this meal for whenever; it’s tasty, easy, and healthy. Plus it’s fun to make! Happy eating, Fangirls.